Enable: Release joint statement from Block Producer community that it is safe to import private keys and vote. Voting beings. Declare the EOS Mainnet active. The problem now is, how do we vote? 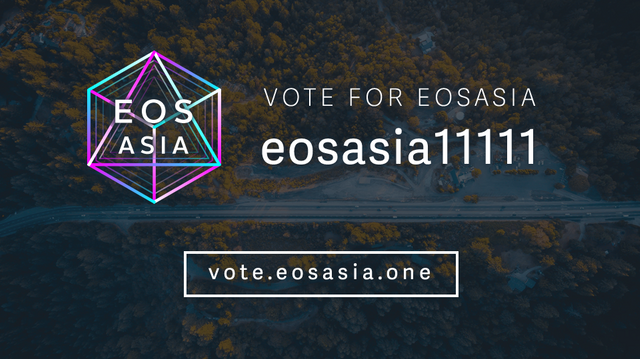 That's the most frequently asked question by EOS holders these days, and the purpose of this post is to show you the most secure and easiest way to vote (we've researched them all!). Only with your help can we make EOS the premier example for all Blockchain projects around the world! Vote to activate the chain, vote for a chain that's maintained by the best BPs in the world, and vote to be part of a history that you create. MyEOSKit uses Scatter. 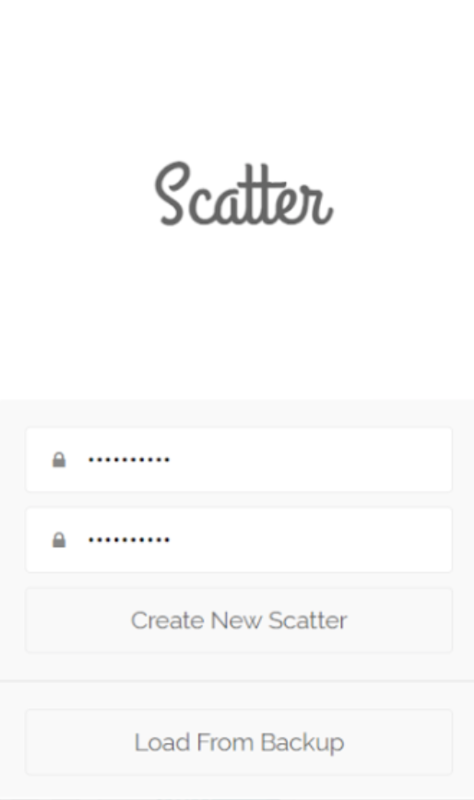 Scatter is a way to sign EOS transactions and provide private data without exposing keys and unnecessary information while interacting with web applications. Scatter is one of the most secure and easiest-to-use wallets in the EOS ecosystem. EOS Asia's voting tool will never ask for private keys. If you encounter a fake portal, please report it to us. Immediately after this step, write down the mnemonic phrases and store them in a safe place. You will need these to retrieve your account in case it gets lost or stolen. In the menu “Key Pairs”, enter your EOS Private and Public Keys. Give your keys a name so you’ll know which one it is. Enter your account name. This should be a string of characters such as "hezdszjogegc"
Once you've finished selecting, click on the “Vote” button and you’re done! Thank you~we are here because of you and we're so much happy to be your choice. 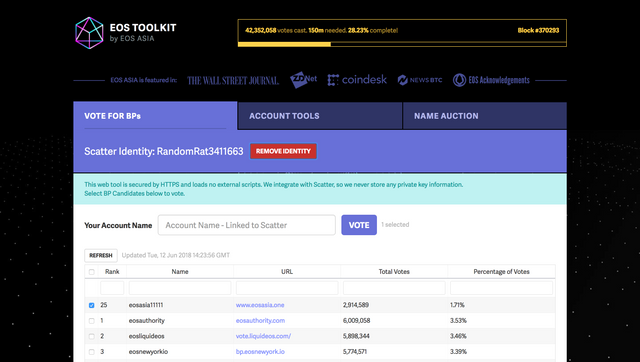 Hey guys, the biggest concern by the community is they feel entering their private keys into third party software to vote is too risky. If @dan could endorse some of the most popular tools that would really help speed up the voting for sure. Agreed, I personally used scatter and then played with the greymass app which is great. My statement was for the wider EOS community who are not technical enough to valid the code themselves.